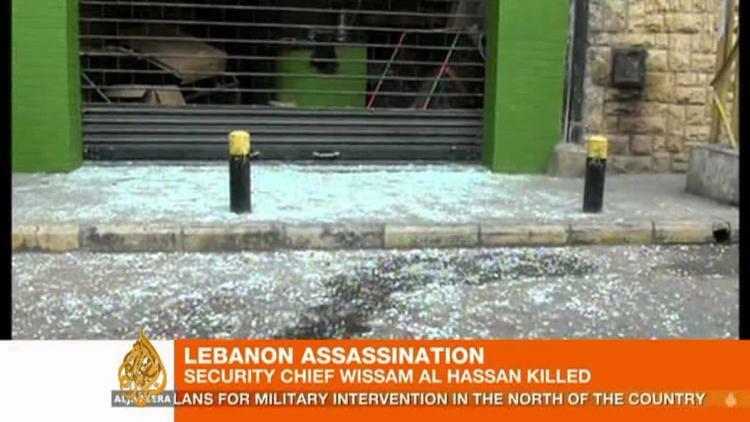 A powerful bomb exploded in Ashrafieh, a largely Christian neighborhood in the Lebanese capital of Beirut, on Friday, killing Wissam al-Hassan, an intelligence expert in the Lebanese security apparatus who had been critical of Syria. Tensions immediate rose in hot spots such as Tripoli or the Bikaa Valley, with protesting youth burning tires in the streets and cutting highways off from traffic. There have been occasional firefights in recent months in Tripoli between Allawite Shiites and Sunni Muslims. Until now, Beirut had largely been spared such violence over the Syrian revolution. Sunni politician Saad al-Hariri blamed Syrian president Bashar al-Assad for the bombing, as did Druze leader Waleed Jumblatt. Generally, Sunni Muslims in Lebanon wish for the overthrow of the al-Assad Baath government, which is dominated at the top by Allawite Shiites. Most Lebanese Christians and Shiites, on the other hand, either support al-Assad or are worried about what will happen to their communities if he falls. There have previously been assassination campaigns in Lebanon, as in 2004-2005, when critics of Syria were bombed or shot, including al-Hariri’s father, Rafiq, a former Lebanese prime minister.